A double door with no priority direction of opening looks identical to double hung doors from the outside, except that it has a rounded joint between the two leaves. These two leaves are identical in construction and this joint makes it possible to open either leaf independently of the other, whereas with conventional double doors one of the two leaves is always fixed. 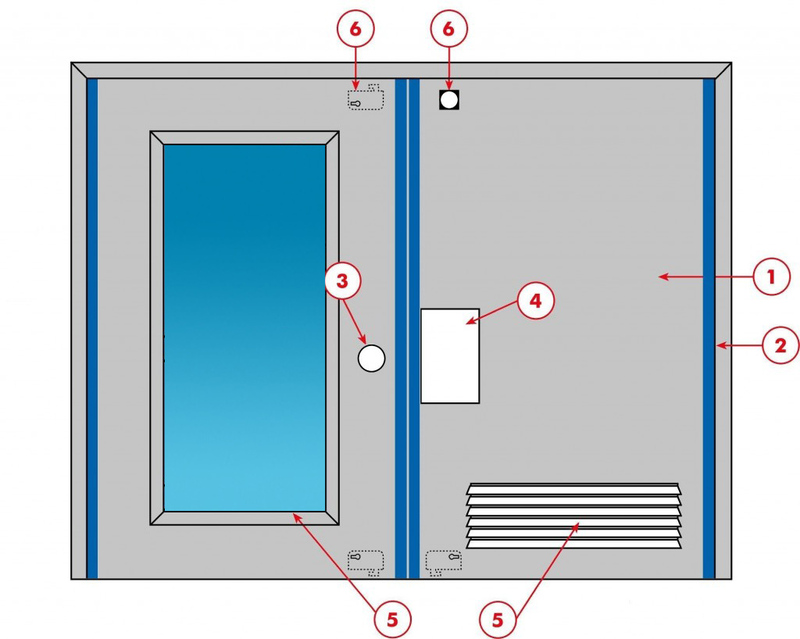 When is a double door with no priority direction of opening required? 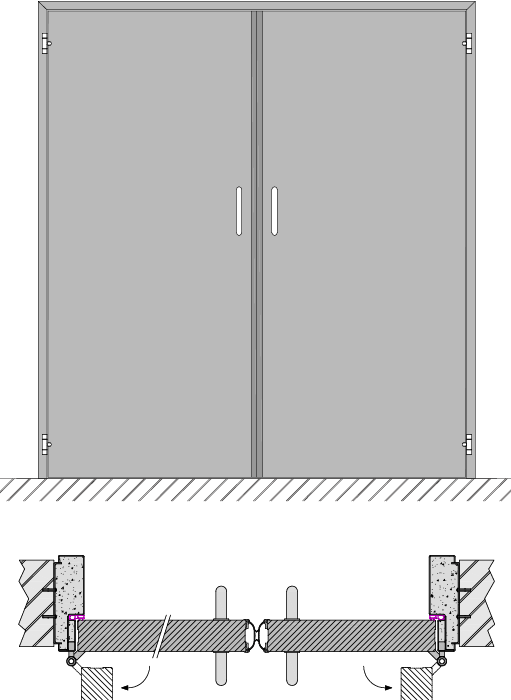 Double doors with no priority direction of opening are frequently used in busy places such as car parks, railway stations, schools, building corridors, etc. They offer an attractive ‘frequency of use’ performance and great mechanical resistance. Fixed doorknob or pull handle on the hinge side. 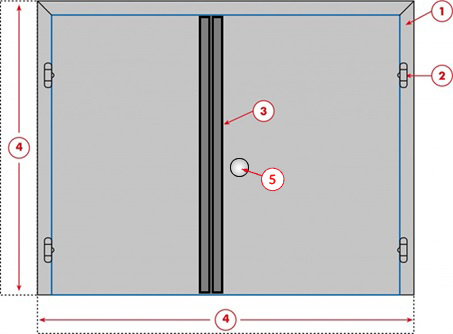 We suggest placing an impact plate on each leaf on the non-hinge side to indicate more clearly where to push the doors. With scissor arm or sliding arm, fitting on the hinge or non-hinge side, invisibly integrated door closer, open position maintained, etc. Door leaf position indicator, door stops, storm chains, peep-holes and many other fittings.